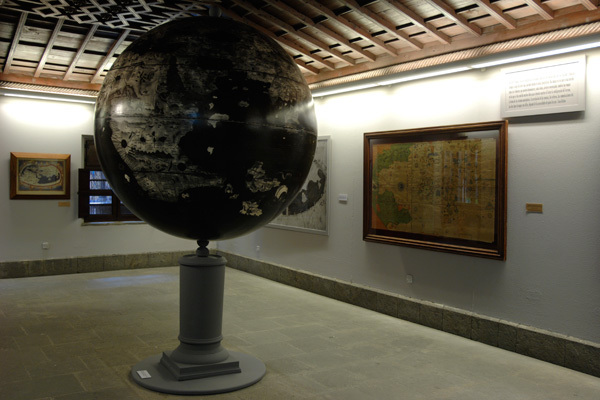 "Another Map to Not Indicate: The world before America"
"14 Locations of Meaning "
In collaboration with: The museums Casa de Colón and El Museo Canario. 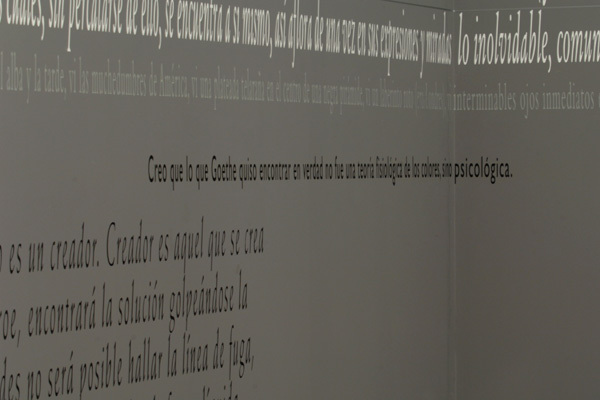 From February 27th to April 15th, 2007, the Centro Atlántico de Arte Moderno-CAAM, in Las Palmas de Gran Canaria, presents the "Terra Ultra Incognita" exhibition by Joseph Kosuth (1945, Ohio, USA). 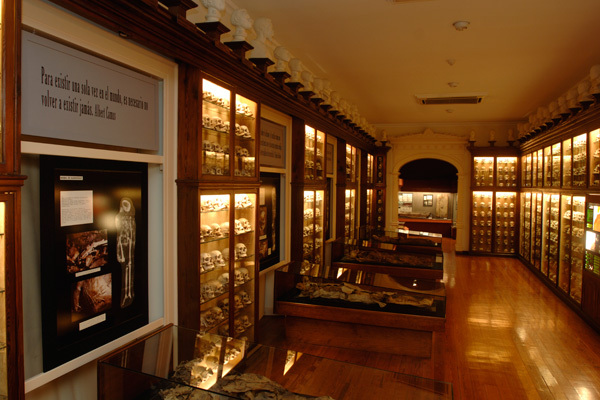 For this exhibition, the artist, an international point of reference in Conceptual Art, has created four installations specifically designed for the occasion and produced by the CAAM in two of its exhibition rooms and two of the city’s museums: Casa de Colón (Christopher Columbus’ House Museum) and El Museo Canario (The Canary Islands Museum). 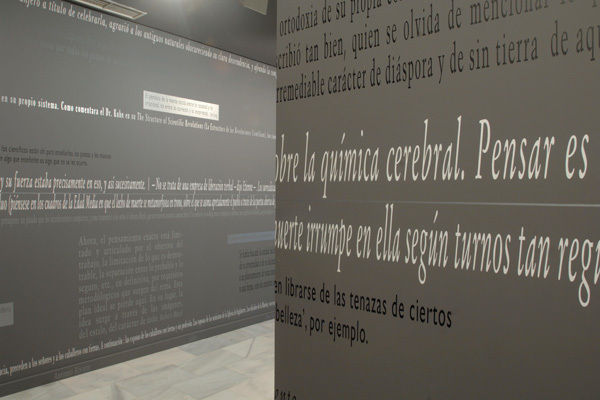 This is one of the most important interventions by Joseph Kosuth in Spain, who had not exhibited in the country since 1995, for which the CAAM will be publishing a monographic bilingual catalogue with graphic and theoretical documents. 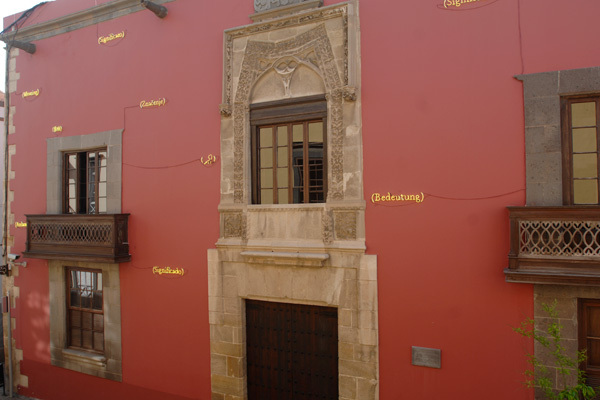 CAAM - Los Balcones, 9: "14 Locations of Meaning"
Joseph Kosuth presents the installation "14 Locations of Meaning" on the principal façade of Calle Balcones, 9, the CAAM head office, established in a 16th century mansion palace in the Vegueta quarter. This artwork forms part of a series of installations with the same name, presented since 2000 in different parts of the world: Italy, Bosnia-Herzegovine, United Arab Emirates. The word "meaning", which is very important in Kosuth’s work, is shown in neon lights in 14 different languages. According to the artist, the meaning of words, pictures, codes or representations changes substantially according to the context in which they are presented, thus questioning the representative and reproduction system. The "Locations of meaning" series is adapted to the context in which the artwork is exhibited, inserting the languages associated to the culture and history of the places where it has been shown. 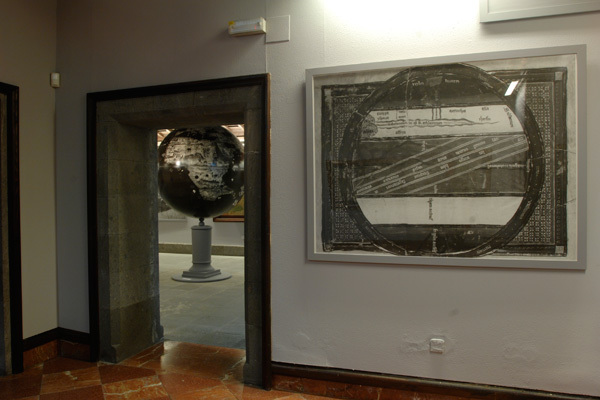 In the case of "14 Locations of Meaning" presented in las Palmas de Gran Canaria, this artwork reproduced the island’s multicultural history derived from the cultural exchange occurring over the centuries with the arrival of, among others, the English, Italians, Germans, French, Jews, Arabs and Japanese. 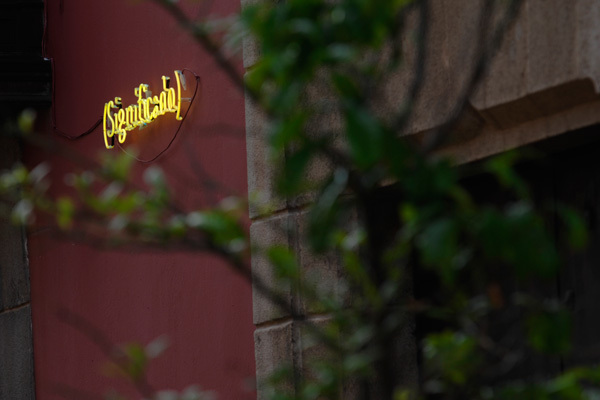 As a representation of a current migratory phenomenon, Kosuth has included the word "meaning" in Wolof, a language spoken in Senegal, Mauritania and Gambia, some of the countries most affected by irregular immigration to the Canary Islands. CAAM – San Antonio Abad exhibition rooms: "Guests & Foreigners: Terra Ultra Incognita"
Based on the philosophy of Hans-Dieter Bahr, who conceived and worked with the conceptual problem of "guest and foreigner", this series has been exhibited since 1995 in Norway, Ireland, Germany, Turkey, Japan, USA and New Zealand, on each occasion adapted to the place-context in which it was displayed. 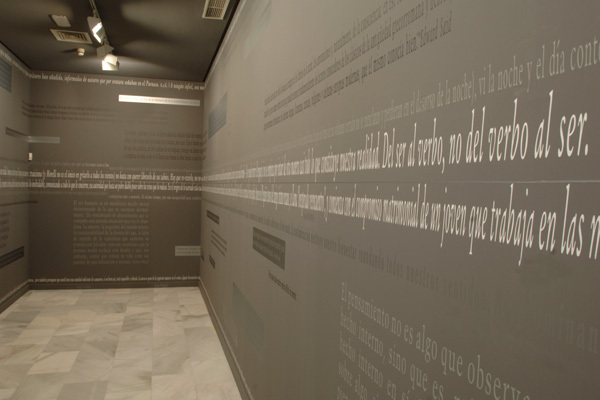 "Guests and Foreigners: Terra Ultra Incognita" presents a selection of texts in the form of quotes on both floors of the San Antonio Abad exhibition building. These quotes, signed by writers, philosophers and scientists, refer in some way to the concept of guest / foreigner. The dialogue, cohabitation and contraposition occurring between the different texts both enhances and annuls their intrinsic meaning, giving rise to a new message enabling new perspectives, meanings or interpretations. The local specificity of this artwork comes from the mention of foreigners whose lives or work have left their mark on the islands, as well as from the room’s own architecture. Over the last five centuries, the Canary Islands have witnessed, and continue to witness, the constant arrival and departure of "guests/foreigners" who have passed through the archipelago leaving a legacy in the form of their cultures and traditions. Globalisation, however, has created new situations in which the individual now feels like a "guest or foreigner". Casa de Colón: "Another Map to Not Indicate. The World Before America"
"There is a global market culture in which we can find ourselves both a guest and a foreigner, co-habiting with both the familiar and the impersonal. That culture, initially an American culture, now makes the world a foreigner at home and Americans at home abroad", Joseph Kosuth. 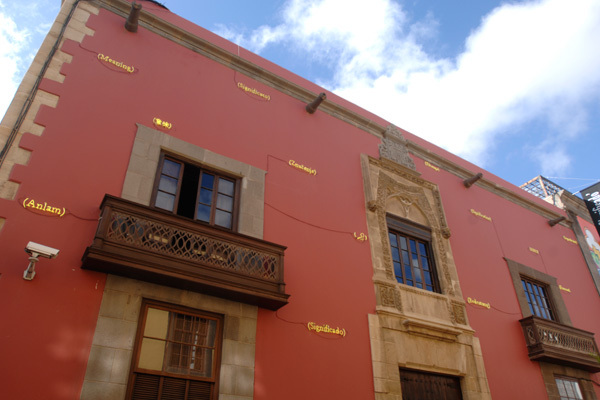 The collection of "Casa de Colón", in Las Palmas de Gran Canaria, includes different pieces of artwork referring to the historic, social and economic changes derived from the discovery of America for the Canary Islands. This is the context chosen by Joseph Kosuth to consider the consequences of the discovery of America and the analysis of maps as a form of representation based on codes and signs, linked to the artist’s ideas about the role played by language, signs and representation in human relations with locations and others. The installation "Another Map to Not Indicate. 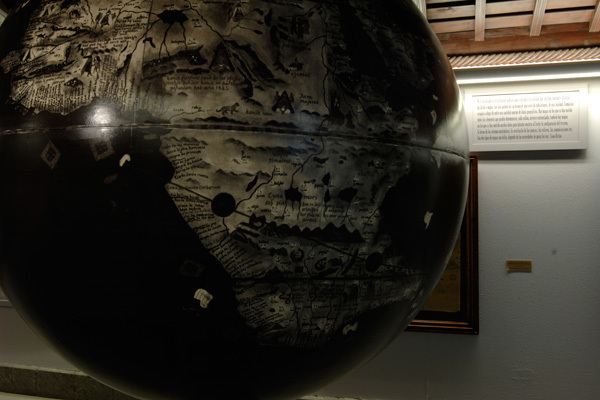 The World Before America", presented in exhibition rooms 105 and 106 at Casa de Colón, consists of a 1.62 diameter globe, together with a collection of maps and quotes by different authors. 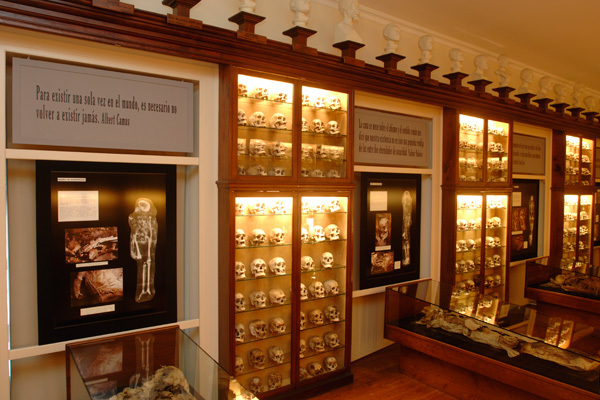 The Museo Canario: "A Problem to Solve"
The "Museo Canario", nearly exclusively concerned with pre-Hispanic culture on the island, devotes Room 7, dedicated to physical anthropology, to the "A Problem to Solve" installation. "Terra Ultra Incognita" was and continues to be the archipelago for foreigners to the islands. "Terra Ultra Incognita" is the name given to America on Martin Waldsemüller’s map, dating from, 1507, one of the America's first representations. 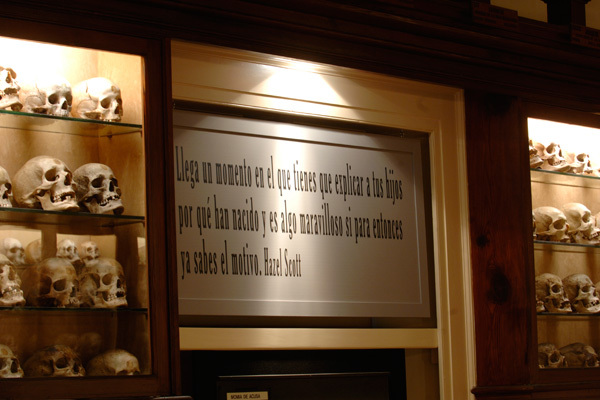 "Terra Ultra Incognita" is also the direction in which Joseph Kosuth steers the spectator with "A Problem to Solve", installed in the room in the "Museo Canario" which houses anthropological remains of the original Canary Islands population. Joseph Kosuth is one of the pioneers of Conceptual Art, who started working on his works of art based on language and strategies of appropriation in the 60’s. His work has constantly explored the production and function of language and its meaning in the art field. During his more than 30 years investigating the relationship between language and art, he has created installations, museum exhibitions, public commissions and publications throughout Europe, America and Asia. This includes his participation in five editions of Documenta and four of the Venice Biennale, on one occasion representing Hungary in its official pavilion (1993). He has received numerous awards and acknowledgements and teaches and gives conferences in different universities and institutions of international renown. His work can be found in the collections of a large number of museums worldwide.